A real estate agent is the person who sells, buys and rents a property for his or her clients. These professionals have to find and interview prospective clients and have to use their persuasiveness in order to convince clients that a property is worth the investment. Our real estate agent job description focuses on highlighting all the important abilities that one should take into consideration when applying for this job position, read more below. What Does a Real Estate Agent Professional Do? The real estate agent job description usually refers to the daily tasks and responsibilities that a real estate agent has to take care of. This job entails standard tasks that vary depending on the company’s or employer’s personalized policies. Real estate agents have to accompany clients to the property site and offer full disclosure regarding the history of the property. They must also be aware of the conditions of sale and they also have to know how to handle real estate contracts. Negotiate prices and contractual terms with clients. Personalize purchase offers to make them more appealing to potential clients. Establish a competitive market price by analyzing and comparing the prices of recently sold properties in the area. Double check that purchase agreements are met before closing the deal. Promptly come up with a list of properties that meet the client’s financial possibilities and needs. 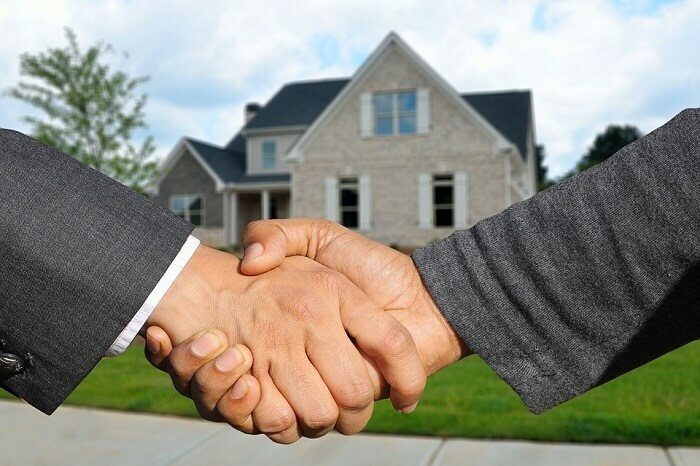 Connect with attorneys, contractors, mortgage lenders to establish a mutually beneficial professional relationship with them. Lease, rent, buy properties on behalf of clients. Invest in properties that have potential. Contact utility companies to set things up for the new owners of the property/house. Recommend and promote services and products to clients. Negotiation Skills. A great real estate agent is a good negotiator, knows how to strike a bargain, gain profit and land a sales pitch at the same time. This individual usually acts as a liaison between buyers and sellers, representing the interests of one party or the other. He must also prove good persuasive abilities and be sales oriented. Advertisement and Marketing Skills. A real estate agent must be able to promote sales of properties using different channels from flyers to social media websites, and others. He should also possess organizational and management skills, as well as the ability to examine and determine the property’s real value. Also, to estimate the costs necessary to add value to the property, as well as to come up with personalized proposals based on client’s type of personality. Communication and Interpersonal Skills. Mandatory for the real estate agent job description is for this professional to prove good communication and interpersonal skills. Also, he must use a polite manner in which he communicates with his clients. Moreover, he must have a positive attitude and an impeccable look. Financial and Field Knowledge Skills. This professional must know all the steps that need to be taken in order to fulfill all the duties the real estate job description entails. He must find properties that have some great potential and know a lot of technical details about the properties. As well as about the materials used in building a house, architectural knowledge, interior design, and so on, in order to better promote a property or a house. Anyone who wants to get a job as a real estate agent needs to learn how to negotiate and adjust their persuasive skills as to convince their clients to invest their money in a property or sell their house using them as the middleman. They must also know the legal matters that are used when dealing with real estates. As well as have some thorough knowledge regarding the way in which some houses are built and how much is a property worth based on its location and condition. Any company and employer will have the same education requirements when it comes to hiring a real estate agent. This person has to be at least 18 or 19 years old (this depends on the state and its legislation). Also, must have legal US residency and complete a required pre-license education. Depending on the state, the number of hours required to pass the pre-license education may vary a bit. After all these steps are taken care of, a person has to pass the state’s real estate license examination. People without any work experience in the field still have a chance to get a job as a real estate agent. However, employers will definitely appreciate any previous work-related skills and abilities that you might have used at another job. Most real estate agents should also have a financial background or knowledge in order to determine the eligibility of a buyer when it comes to their credit status and determine if financing is possible or not. A real estate agent should also have important contacts at reach. In order to establish professional relationships with mortgage lenders, attorneys, and contractors, recommending these professionals to their client base. The average real estate agent will work the regular 40 hour work week. However, full-time realtors can reach 50 working hours per week, putting in extra time in chatting with other agents or networking with potential clients. The US Bureau of Labor Statistics predicts that from the 444,100 number of real estate brokers and sales agents jobs in 2016, there will be an employment change of 24,900 by 2026. That is a growth of 6% by 2026, just as fast as the average for all other occupations. The real estate agent job salary is $17.98 per hour, meaning a total of $46,884 each year in the US. There are some options available when it comes to ascending the career ladder for real estate agents. The real estate job description also includes the fact that there are different areas of real estate and any person can choose which one suits them best. They also choose to train and instruct new real estate agents or open their own business and be a manager. It all depends on their work experience and the abilities that they have. We are sure our real estate agent job description was thorough enough in illustrating the necessary set of skills and abilities you need to possess or polish in order to become a real estate agent. You should take into account the duties and responsibilities that you will have to perform on a daily basis and decide if you want to pursue this career path. Also, a similar job is that of the leasing consultant.